The entire incident took only a minute or so, but it left everyone in the room standing in stunned silence. A Stephen Leader broke the silence by turning to the Stephen Minister and saying, “That was so beautiful. But how are you going to get home? It’s cold and wet outside, and you don’t have any shoes now.” The Stephen Minister replied, “I’ve got a thick pair of socks–and I do have a pair of shoes.” And she proceeded to put the homeless woman’s tattered shoes onto her own feet. 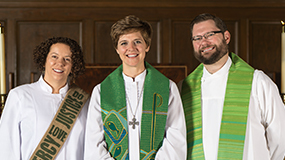 Stephen Ministers at First United Methodist Church help serve this congregation and community. We are here to help in a time of need. 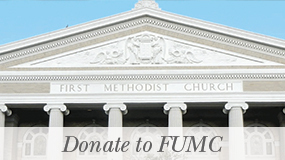 If you or someone you know needs a Stephen Minister, someone to listen and care, please contact the church office at (512) 478-5684 and ask for a Stephen Leader or email stephenministry@fumcaustin.org. All contacts are confidential.